Two of BPR's projects have been featured in a new publication by Will Mclean and Pete Silver 'Air Structures' including Croydon Culture-Dome which graces the back cover. Renown Quarry Gets Planning Permission! Birds Portchmouth Russum's kiln house design has been awarded planning permission! Set within the disused 'Renown' quarry in Lower Froyle, Hampshire, the kiln form echoes the design of the historical 'lime kilns' of the surrounding chalk quarries and Lower Froyle's local 'Oust' houses. A project page will be added to the website in due course. Richard's submission for this years Article 25: '10 x 10 Drawing the city' auction. The works will be exhibited on the 24th floor of the Shard, with the auction beginning on the 27th November. Downley House makes front cover of Sunday Times British Homes Awards magazine. Birds Portchmouth Russum has been shortlisted for the Peabody small projects panel competition.. Birds Portchmouth Russum, in collaboration with Farrer Huxley, have been commissioned for the masterplan of Coram's Fields, London. 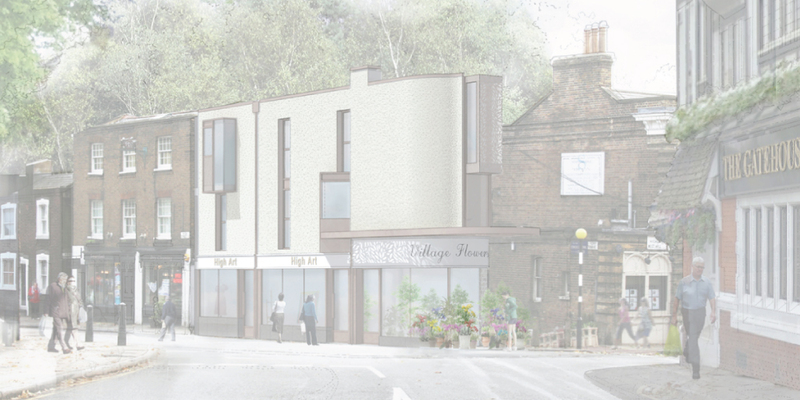 69 Highgate High Street has been granted planning permission on an appeal hearing. Birds Portchmouth Russum are showcasing work in an Architecture exhibition at Nottingham University. The exhibition features work from projects such as the Great Fen Visitor Centre and Downley House and is open until the end of this year.